In the summer of 2012 my youngest sister Chris had been diagnosed with stage four cancer. 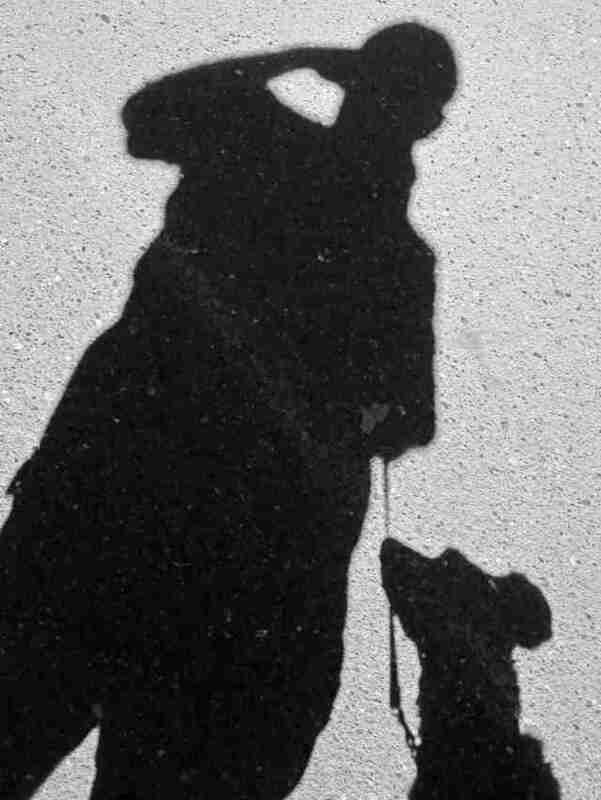 Six years earlier a beautiful Mac Nab Border Collie mix named Zoe had crawled into my heart where she had remained nestled even though we had been separated for a number of years. Zoe came back into my life as she was also entering the final stage of her brief stay in the temporal world. I had just moved to a senior community where I was compelled to face my own mortality. The universe provided a beautiful tapestry where three lives woven together created the quintessential lesson in the meaning of life. Unconditional love. When my sister Chris died, Zoe was then diagnosed with cancer. The tapestry had been very carefully constructed by an artist who understood that one is only given what one is able to handle. Zoe had provided the opportunity for me to help her when I was unable to help my sister Chris. Zoe's diagnoses, along with my sister's death, opened my heart in a way I had never experienced before. 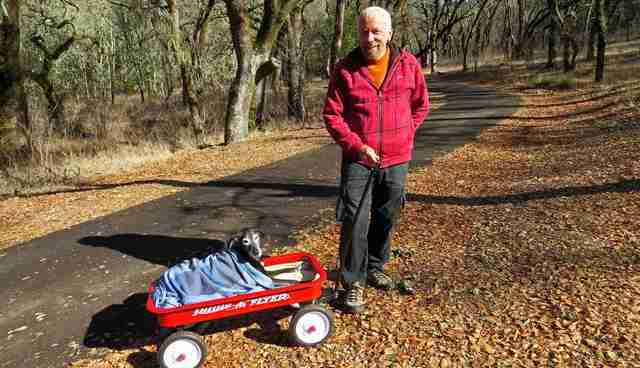 In the final weeks of her life, when she was unable to walk on her own, I pulled her through the parks of Sonoma County in a small red wagon. Six weeks after Zoe died I got a blood clot in my right leg. I had a severe reaction to medication. I lost 40 pounds. I was unable to function for nearly a year, needing a cane to walk. 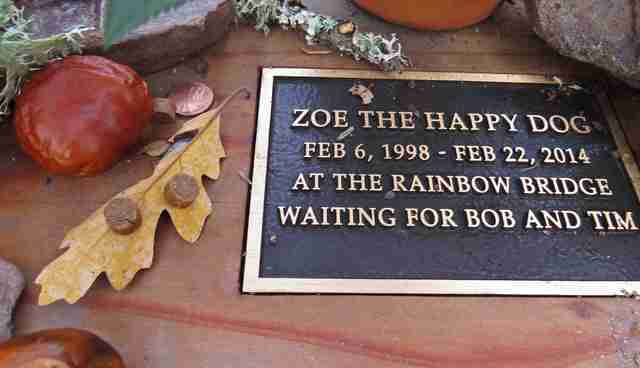 In September 2014, a memorial table dedicated to "Zoe The Happy Dog" was installed in Sonoma Valley Regional Park where Zoe and I had walked every morning. In the beginning I was sometimes unable to make the 1.5 mile trek from the parking lot to the table and back. During the darkest time if my life, when I was unable to sleep, when I was consumed with fear, my sweet angel Zoe watched over me as I struggled to make that short walk to her table and back. I kept fresh flowers on the table everyday. The love that emanated from Zoe's table soon infected the entire park. I am now more than two months without a cane. I am now standing up straight again. 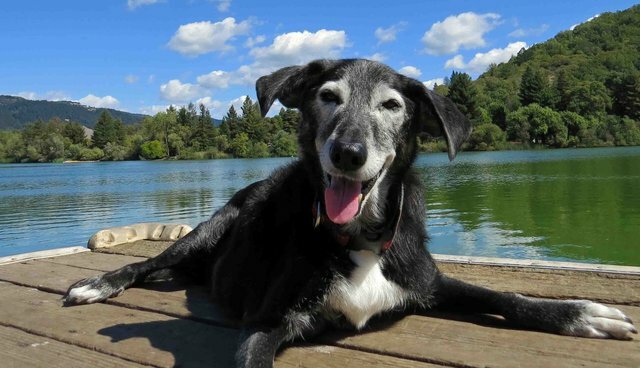 I want to tell the whole world the value of Old Dogs. No matter how much it hurts to lose them, it's worth it! If you take them into your arms, hold them tight, make them understand they are loved unconditionally, in the end you will wind up saving yourself.